The rising cost of healthcare in the United States is old news. How fast it’s rising, though, might surprise you. According to the Bureau of Economic Analysis, health care spending increased at an annualized rate of 9.9% in the first quarter of 2014 - the fastest pace since 1980. Further, analysts estimate total healthcare expense for the US could reach 5.5T by 2023, a staggering 90% increase over the 2.9T reported in 2013 and a whopping 21% of total GDP. Most US employers understand that they cannot hope to remain competitive in the global marketplace if these costs continue to rise to the extent that has been anticipated, and some are willing to take innovative steps to help control rising costs, while simultaneously providing valuable healthcare benefits to employees and their families. 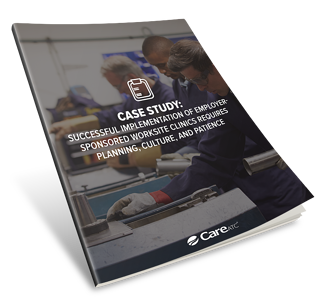 The following case study demonstrates how one innovative organization, Lacks Enterprises, has successfully addressed this growing problem through the development of employer-sponsored worksite clinics.